June 04, 2015, 3:43 p.m. This December countries from around the world will meet in Paris to put the finishing touches on an international agreement to curb the greenhouse gases that cause climate change. If reached the deal would likely be the most significant of its kind in history, coming after similar deals made in Kyoto and Copenhagen fell short, and offering what many experts believe is humanity&apos;s last chance to avoid the worst effects of climate change. 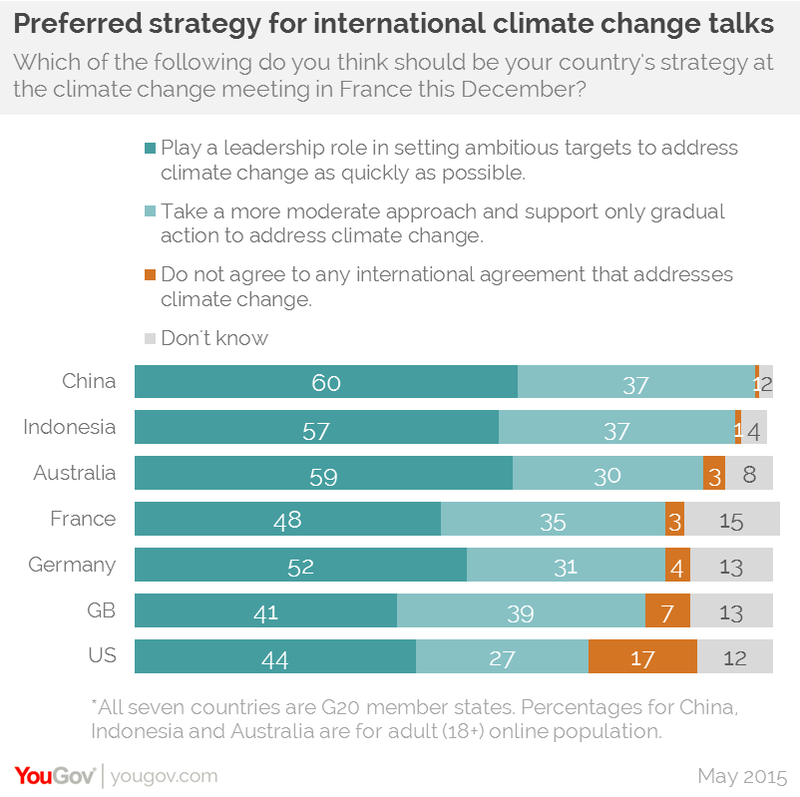 The new YouGov survey spans four continents and 15 countries, including the world’s two biggest emitters of greenhouse gases, the United States and China, and seven members of the G20 group of major economies. In all of the countries surveyed, a clear majority want their governments to play either a ‘leadership role in setting ambitious targets’ or take a ‘moderate approach’ to the negotiations that seeks gradual action on climate change. Only a small minority want to see no agreement made. There are some big differences between some of the countries polled, including some of the worst polluters. 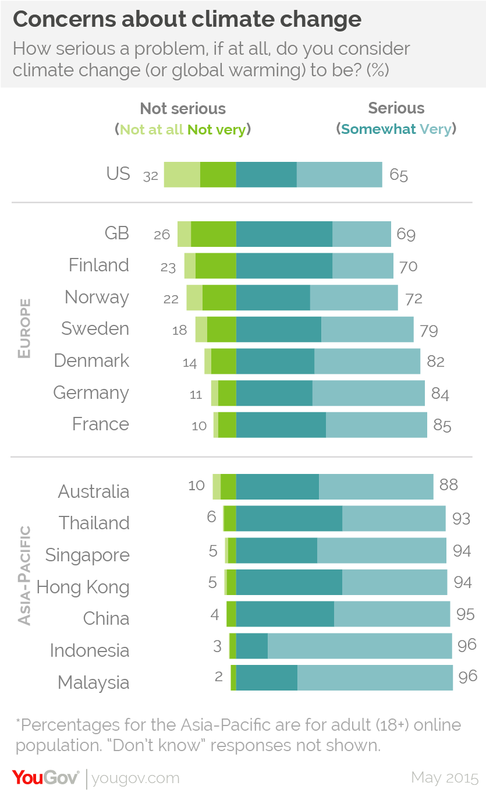 60% in China favouring a leadership role for the country, versus only 44% in the United States and 41% in Britain. Americans are also the most likely to want no involvement in an international climate change agreement, at 17%. 48% of the French public, who will be hosting the talks, support the most ambitious approach, while 35% opt for moderation and 3% want to play no part. The surveys were conducted between May 20th and May 27th. In Europe and the United States, the figures are weighted to be representative of all adults. In the Asia-Pacific region, the figures are weighted to be representative of the adult online population. The limitation to online respondents may have some importance in China, where internet use is much more common in urban areas, which have recently been affected by high levels of air pollution – often due to the burning of fossil fuels. Pollution is seen as the most prominent environmental issue in China, Hong Kong and Australia. General concerns about climate change are also greatest in the Asia-Pacific, a region especially vulnerable to sea-level rise and extreme weather. 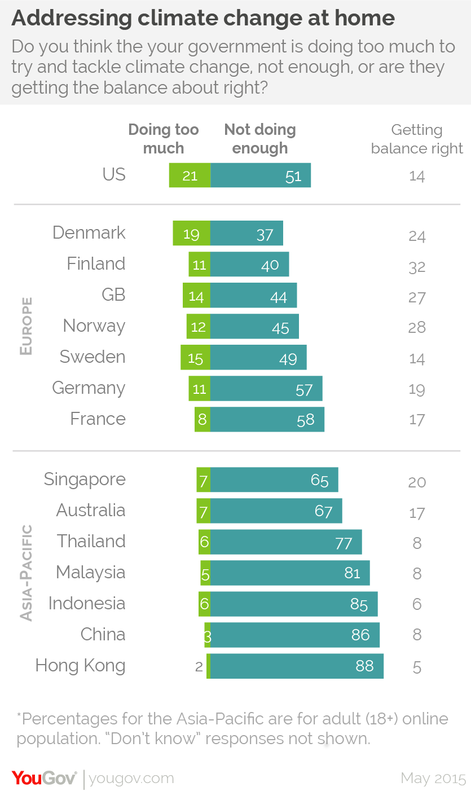 82% in Indonesia consider climate change a “very” serious problem, along with 69% in Malaysia and 52% in China, the median figure for the region. In Europe, a median figure of 41% consider climate change very serious. Germans are most concerned (50%) and Britons least (26%). Americans fall somewhere in the middle of the Europeans with 38% very concerned. Including both respondents who are very concerned and somewhat concerned, Americans fall at the bottom of the list with 65%. 32% of Americans are not concerned about climate change, including 16% who are not at all concerned – more than twice the number of anywhere else. Europeans range between 69% (Britain) and 85% (France), while the Asia-Pacific region is even higher, with a low of 88% concerned in Australia and a high of 96% in Malaysia and Indonesia. In countries where there are greater concerns, there also tends to be a greater desire for action on the domestic level. The correlation is not exact however, possibly reflecting the various actions already taken at home. 51% of Americans don’t think the US government is doing enough to address climate change. This is higher than the European median of 45% (though the American public is also most likely to say the government is doing too much, at 21%). In Denmark, home to the failed 2009 climate conference, only 37% desire additional government action. On the other hand, 57% of Germans and 58% of the French want their country to do more. In the Asia-Pacific region the desire for domestic action is much stronger. 86% in China say more needs to be done to tackle the climate issue, along with 85% in Indonesia and 81% in Malaysia (the median). While it will be politicians that ultimately define the course of the negotiations this December, the vast majority of the public surveyed, in both developed and developing countries, want a deal. Moreover, in almost all of the countries surveyed, the most popular strategy for governments to take leadership roles at the Paris talks by setting ambitious targets. Despite some lingering doubts, particularly in the US, a failure to reach an agreement in Paris would likely be met with disappointment throughout much of the world. 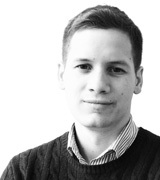 Read more about YouGov&apos;s EuroTrack survey and YouGov Asia-Pacific. Note: a previous version of this article stated the fieldwork dates as May 22nd-27th. The surveys were conducted from May 20th-27th.